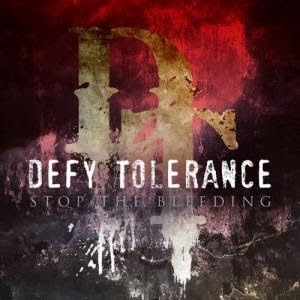 Defy Tolerance’s debut effort, “Stop the Bleeding,” combines a nice mix of melody, hard guitar riffs and pounding drum beats. The result is a good debut for a rock band in an era where rock music desperately needs help. There are some viable candidates that rule the rock genre like Korn, Avenged Sevenfold, Shinedown, and Five Finger Death Punch but for the most part, the upper echelon of rock acts are lumped together in the Godsmack and Three Days Grace sound. Without being more passive aggressive, I really like this album. I appreciate the guitar riffs at the right times versus power chords and especially like the Disturbed-like drumming fused by quick and heavy bass drum that complement said guitar riffs. Freddy Kilo’s vocal range and the band’s live show are a must to stand out in a genre that sounds eerily similar to each other.